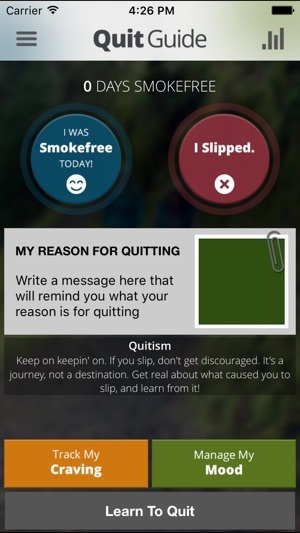 QuitGuide is a free smartphone app that can help you quit smoking. 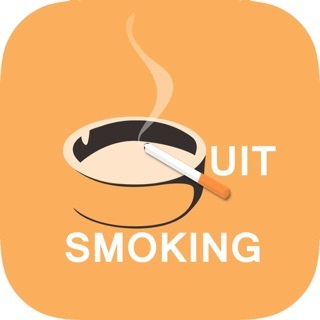 You can track your cigarette cravings and moods, monitor your progress toward achieving smokefree milestones, discover your reasons for quitting smoking, identify smoking triggers and develop strategies to deal with them, get expert guidance on how to quit smoking and address nicotine withdrawal, and access a variety of other strategies to help you successfully become and stay smokefree. QuitGuide provides tips to use during cravings. Use these tips to help you manage your mood and stay smokefree. QuitGuide also gives you the ability to track cravings by time of day and location, so you can receive support when and where you need it. 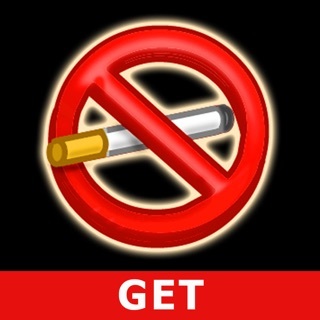 To get more tips and support, you can also visit the smokefree.gov website. QuitGuide is a product of Smokefree.gov (SfG)—a smoking cessation resource created by the Tobacco Control Research Branch at the National Cancer Institute in collaboration with tobacco control professionals and smoking cessation experts and with input from ex-smokers. I have been using the app for about a week now and it has become very useful especially with the journal. It would be great if there was a way to make changes to the Times of days. Like actually changing the times or just being able to delete times to keep it cleaned up. Also if there were more selections for triggers like waking up, using the bathroom etc. 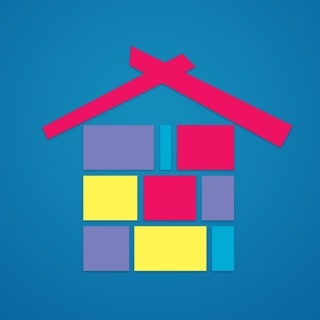 So far great app just make a few updates! Definitely will share with people! You can't set the price for a pack of cigarettes for more than $10, I pay $12. I know some cities have higher than normal prices too. © 2010 ICF International, Inc.